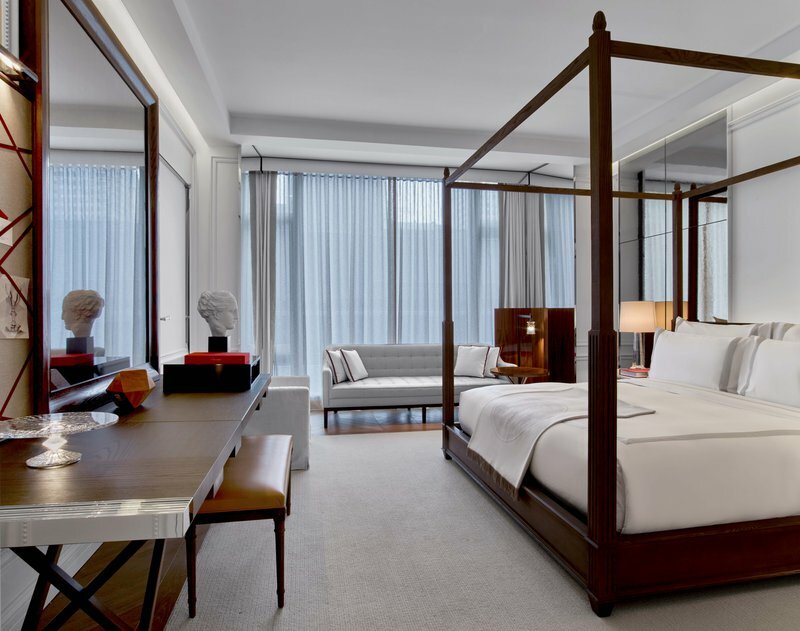 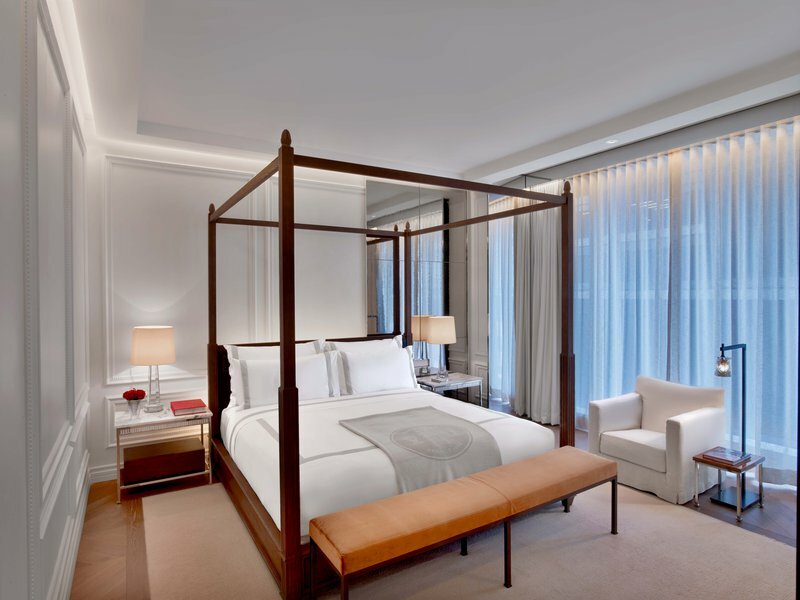 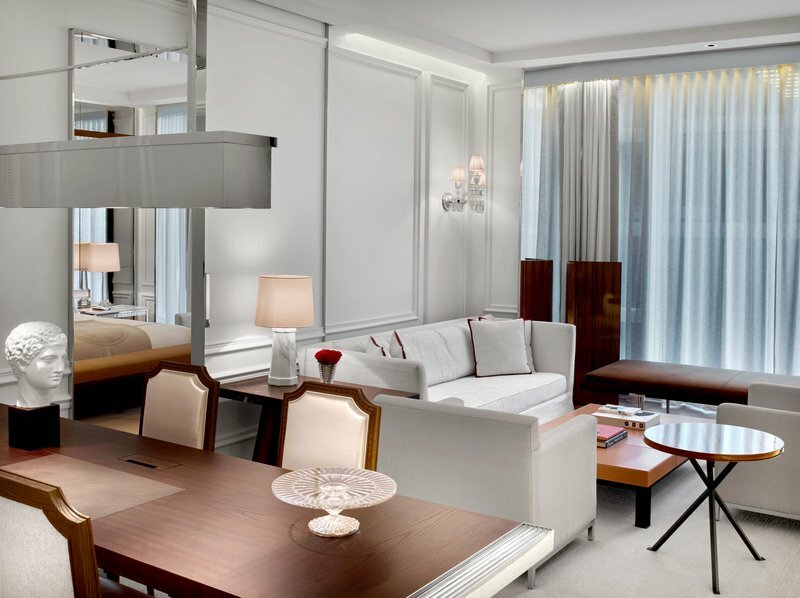 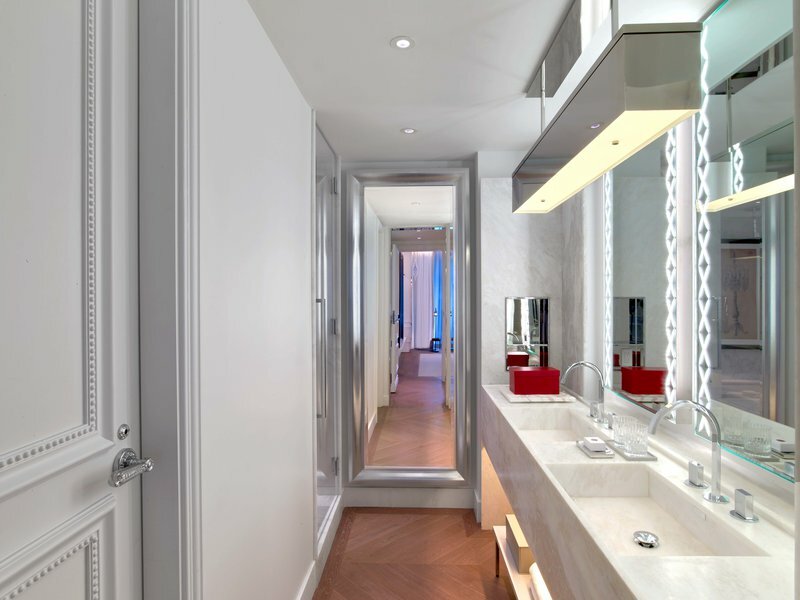 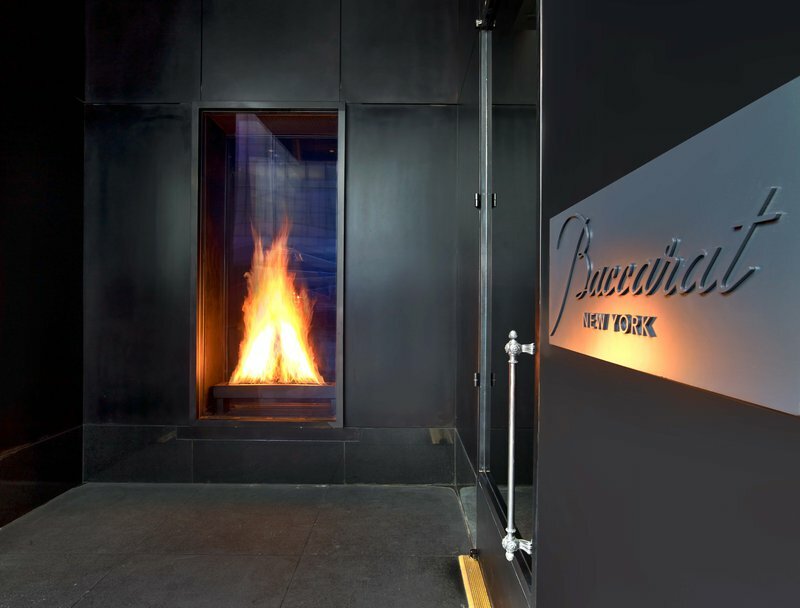 Located just south of Central Park, Baccarat Hotel & Residences New York is a contemporary Manhattan take on a classically elegant Parisian hôtel particulier. 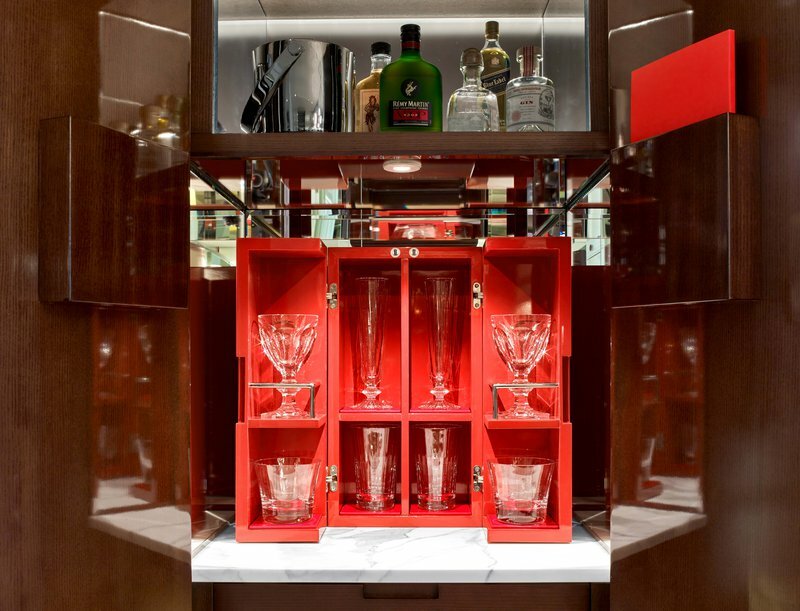 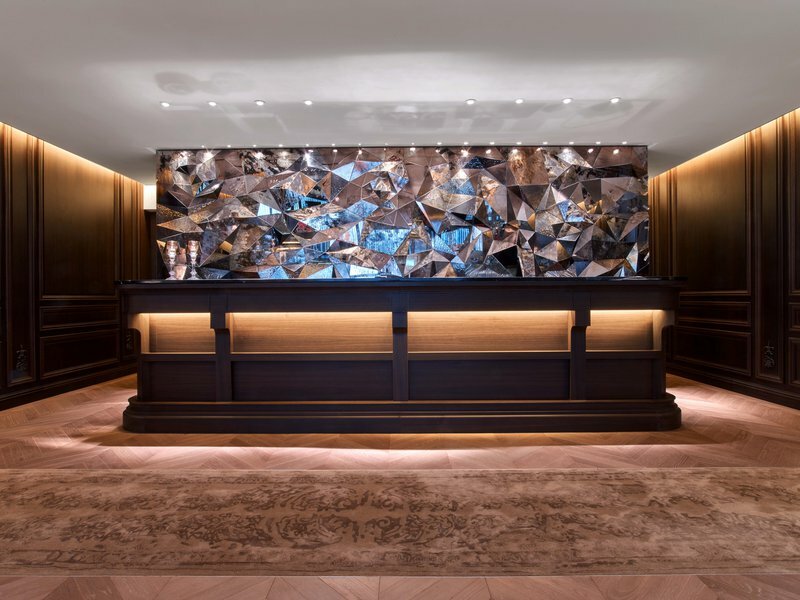 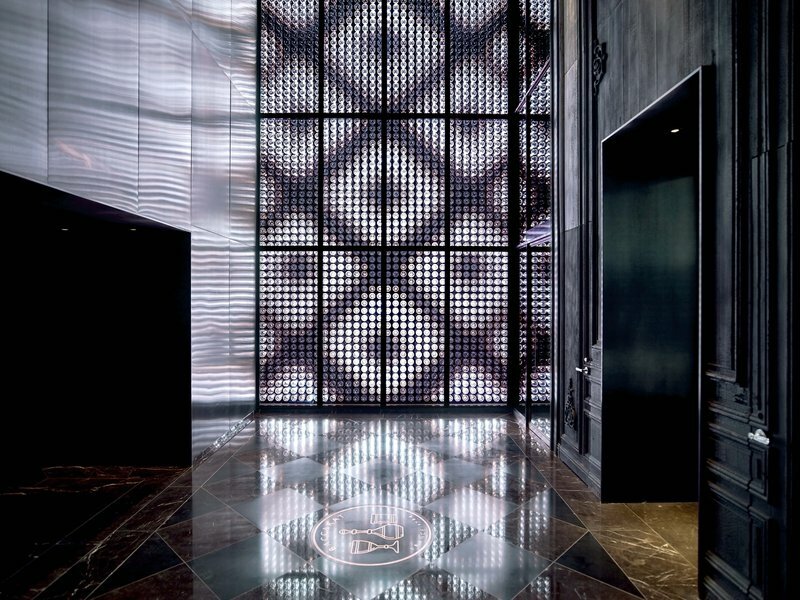 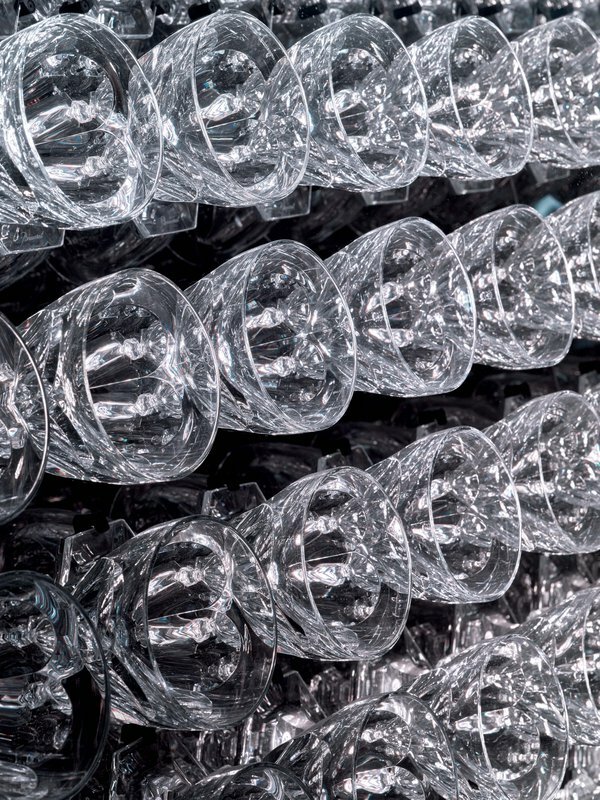 Baccarat Hotel & Residences New York blends influences past and present to create sumptuous spaces, both grand and intimate that inspire wonder with their enchanting surprises and carefully considered details. 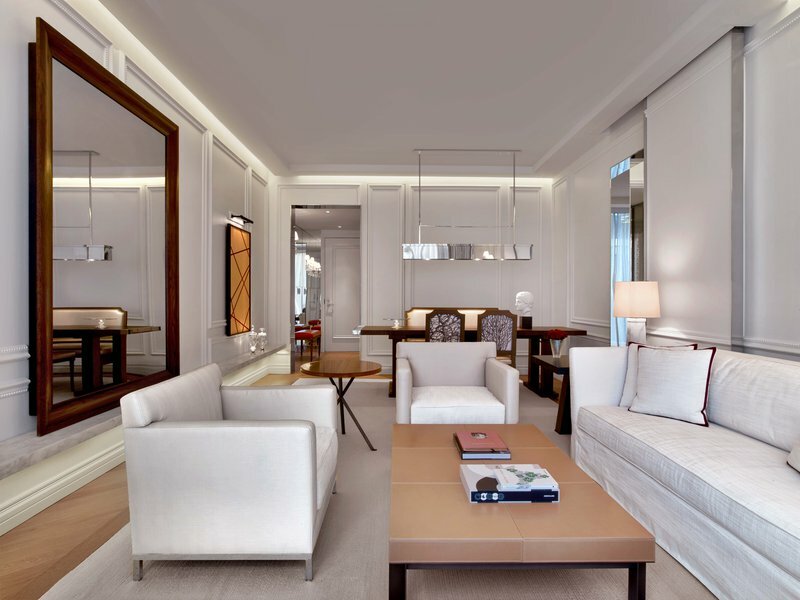 Sought after Paris-based design duo Gilles & Boissier created nearly every piece of furniture for the hotel’s soaring salon-style public spaces, as well as the 114 light-filled rooms and suites of the hotel. 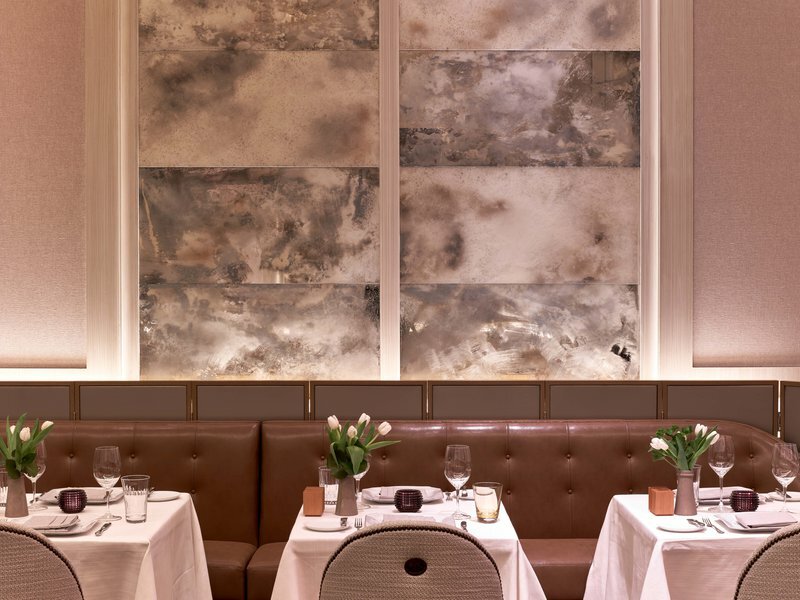 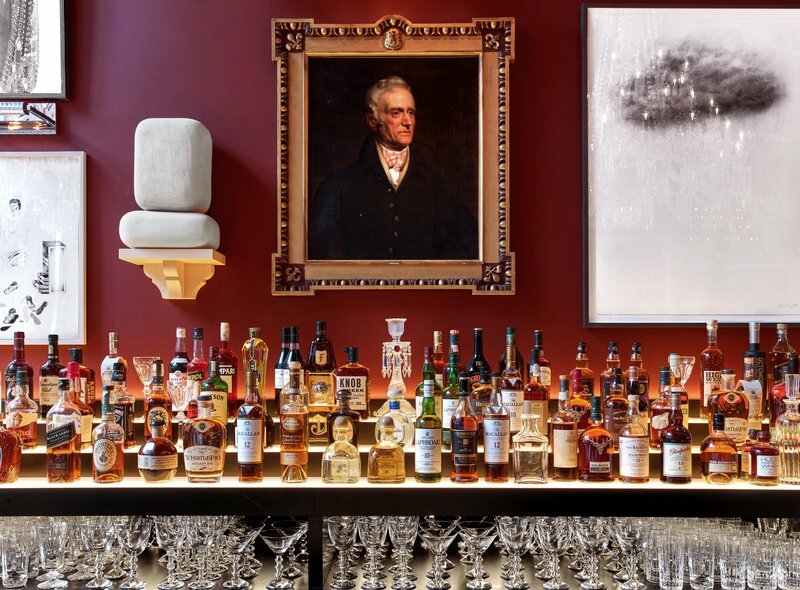 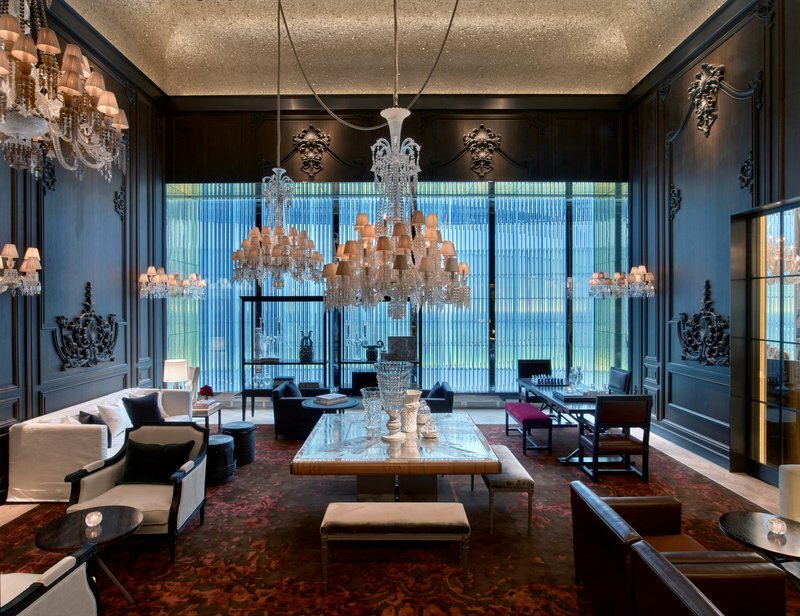 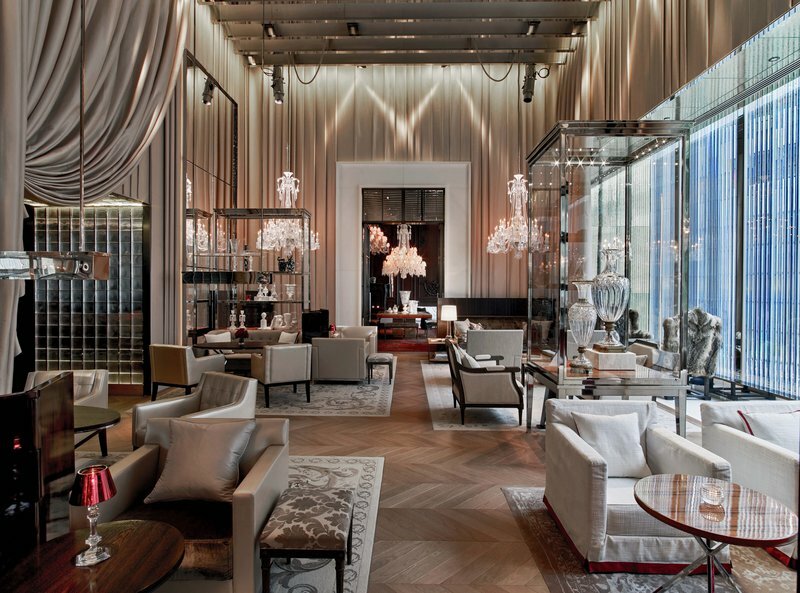 Weaving artisanal Baccarat crystal elements throughout, they lavished attention on each surface, be it a sparkling mica-covered vaulted ceiling, silver-leafed wood paneling, pleated-silk walls or a monumental marble table. 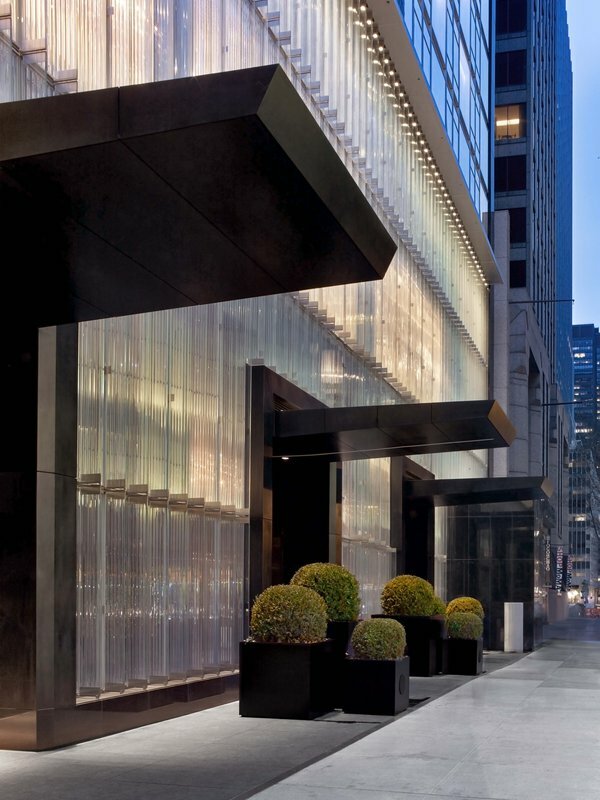 The skyline-shaping international architecture firm Skidmore, Owings & Merrill, meanwhile, designed the soaring state-of-the-art tower itself, creating a prismatic glass façade — directly across the street from the Museum of Modern Art — that recalls the radiance of Baccarat crystal and subtly reflects and refracts light up and down its 50 stories.